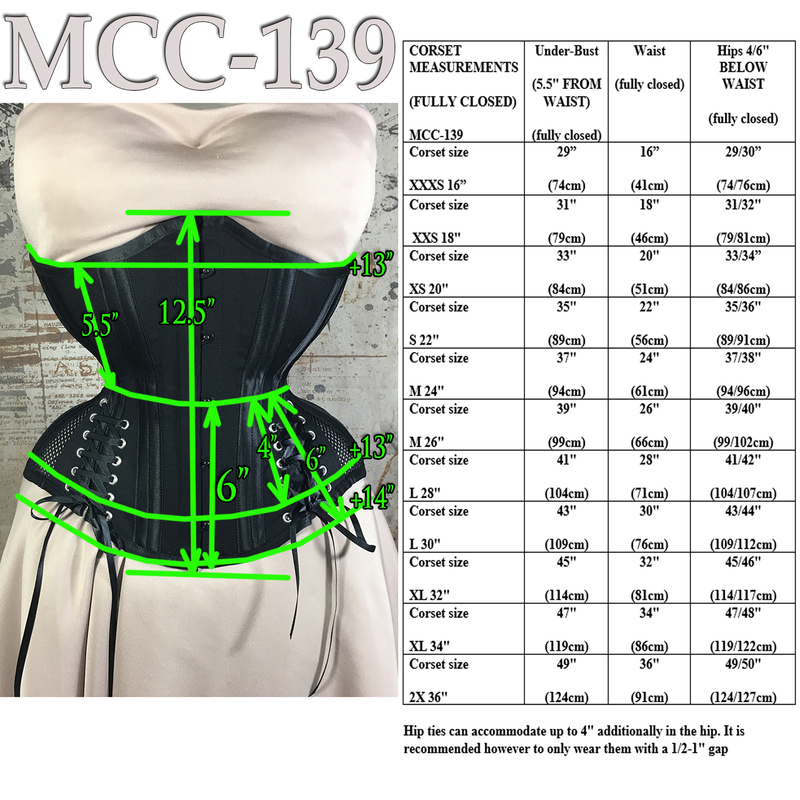 The MCC139 is designed for an inverted triangle, ruler or masculine silhouette . 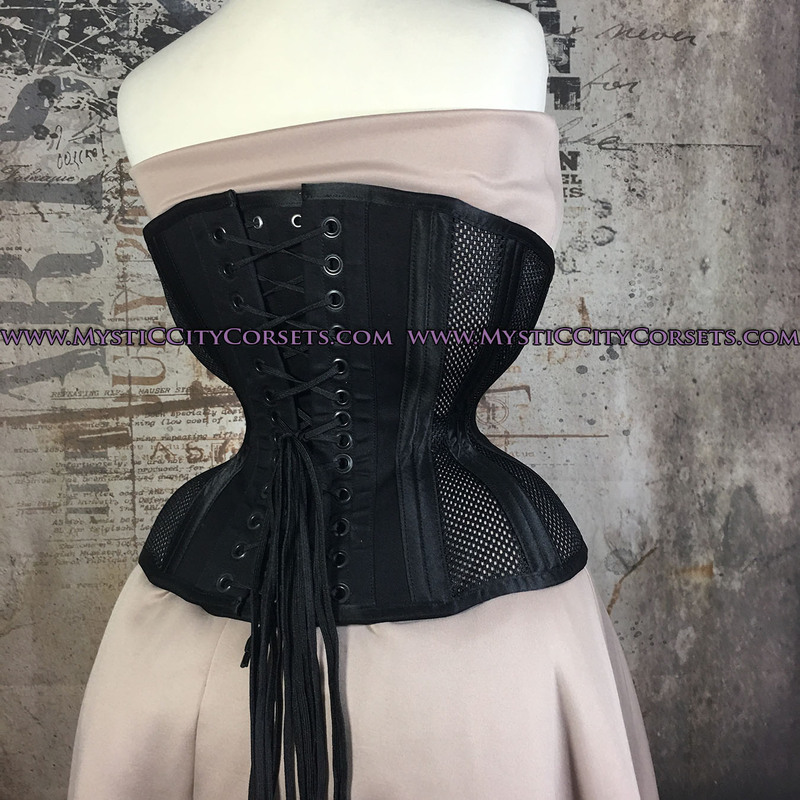 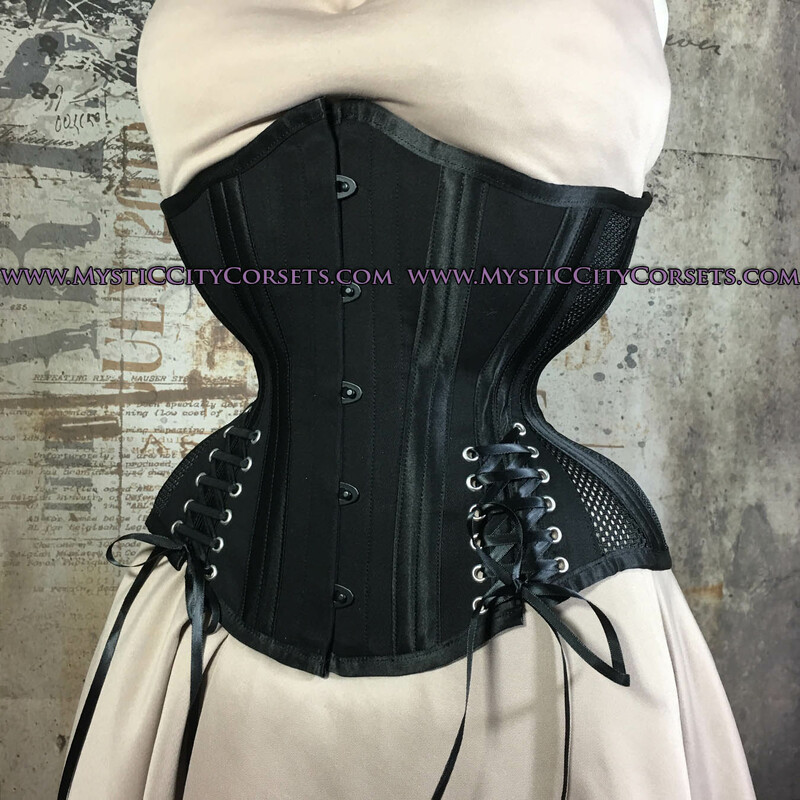 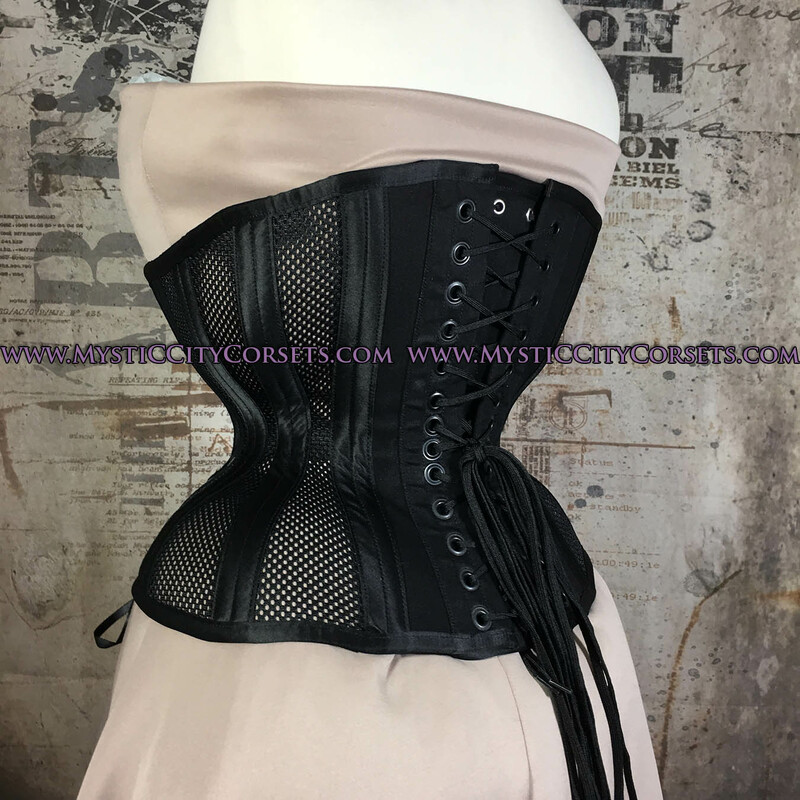 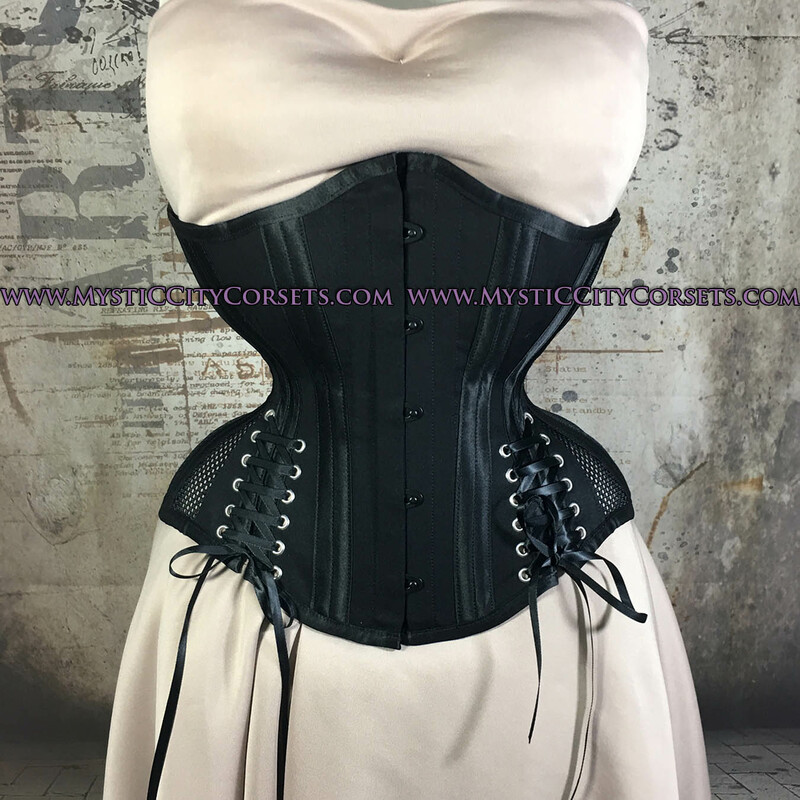 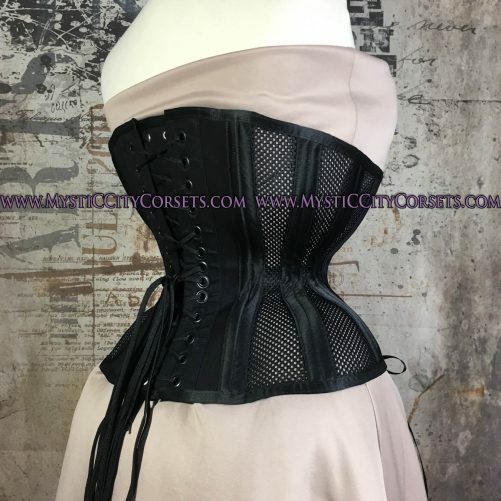 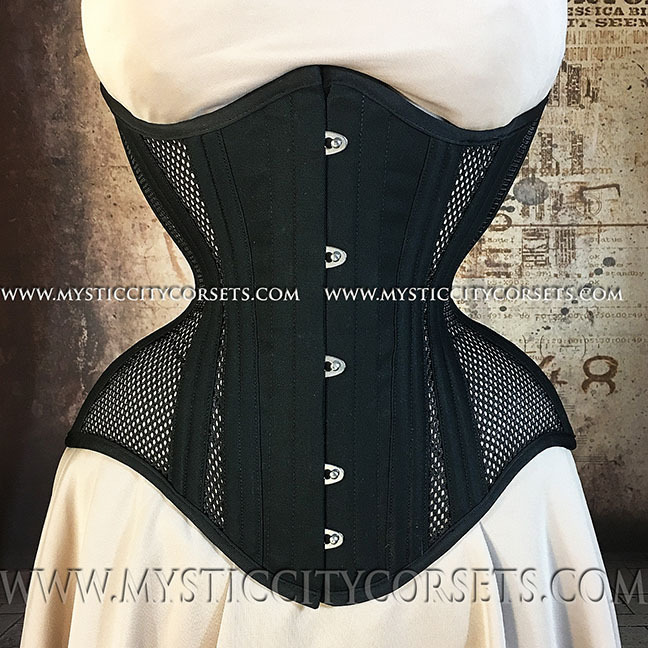 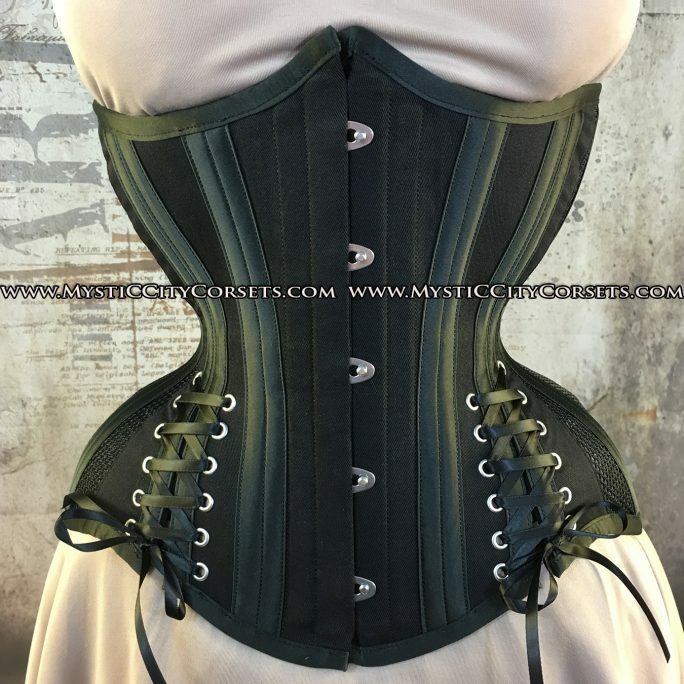 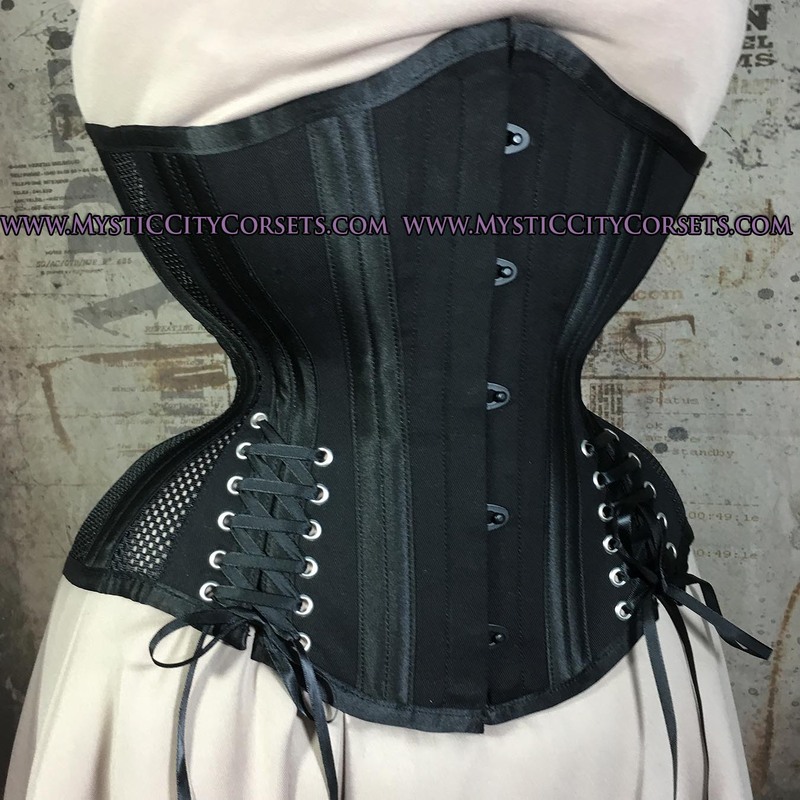 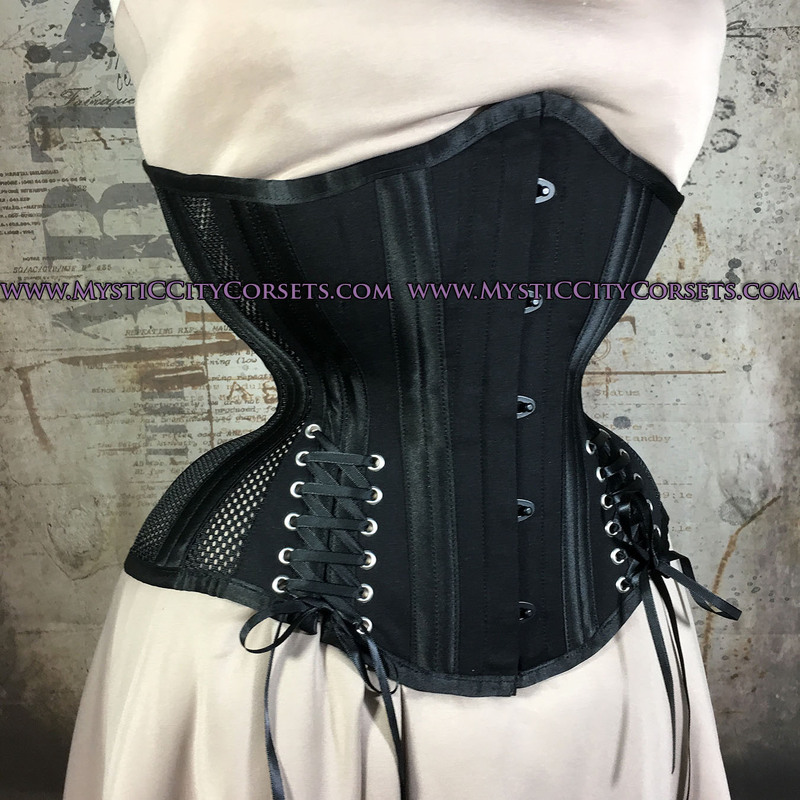 This corset is designed with both tightlacing, and waist training needs in mind, suitable for everyday wear. The MCC139 can accommodate a quite large reduction, features a cupped rib shape, a rib spring of 13”, upper hip spring of 13”, and a lower hip spring of 14”! This design also features hip ties to allow up to 4″ more room in the low hips (up to an 18″ hip spring!). 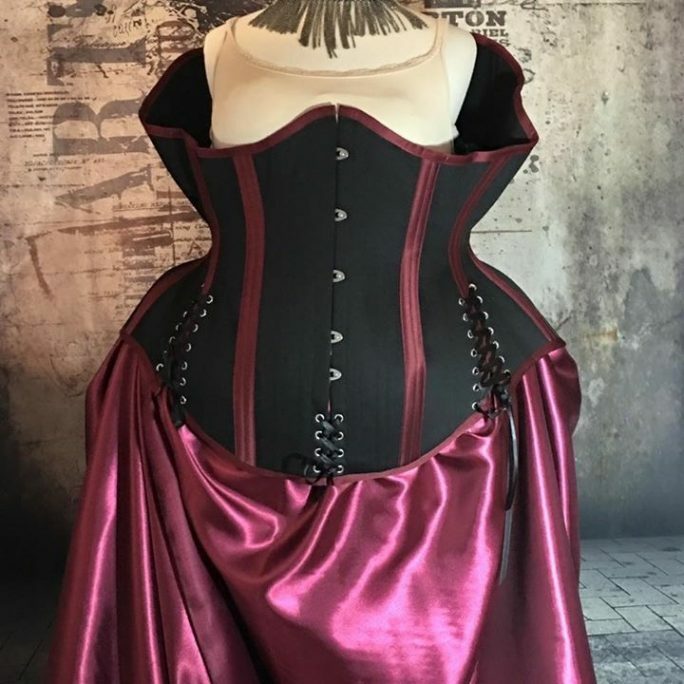 All corsets include a floating modesty panel, and storage bag . 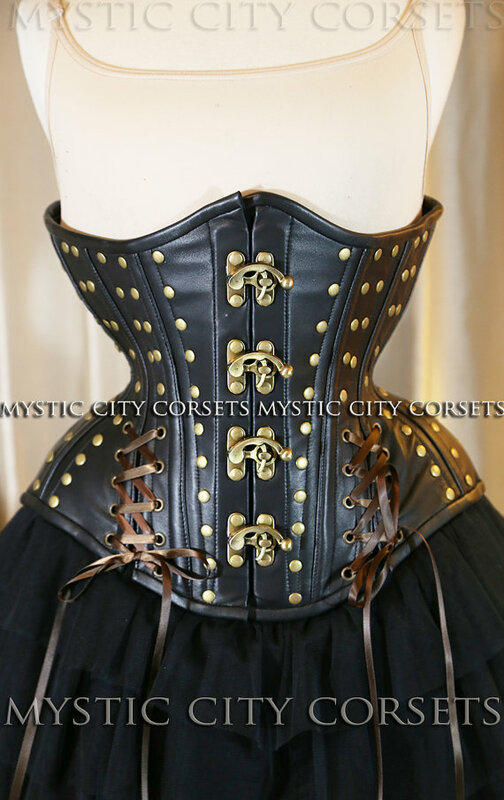 Hipties will accommodate up to 4″ more in the hips.